The Department of Homeland Security has confirmed that it is specifically reviewing its policies on when officials can examine would-be immigrants’ social media posts as part of the vetting process when applying for certain visas. The plan comes just weeks after a shooting at the Inland Revenue Center in San Bernadino, California, which resulted in 14 casualties. It later emerged that one of the shooters, Tashfeen Malik, had allegedly “pledged allegiance” to ISIS on several social media sites, including Facebook. Despite undergoing three separate background checks, immigration authorities reportedly failed to spot her postings when she applied for and obtained a K1, or fiance visa, when she moved to the US from Pakistan. Homeland Security currently only checks applicants’ social media postings ‘intermittently’ and as part of several pilot programs. The potential change comes after John Cohen, a former acting undersecretary at DHS for intelligence and analysis, told ABC News that the department refused to end a secret policy that prohibited officials from looking at visa applicants’ social media accounts in 2014. Cohen said Homeland Security Secretary Jeh Johnson refused to end the policy over fears of a civil liberties backlash and “bad public relations” for the Obama administration. But now, a DHS spokesperson has confirmed to Gizmodo that the agency is “actively considering additional ways” to vet people by scrutinizing their social media posts. 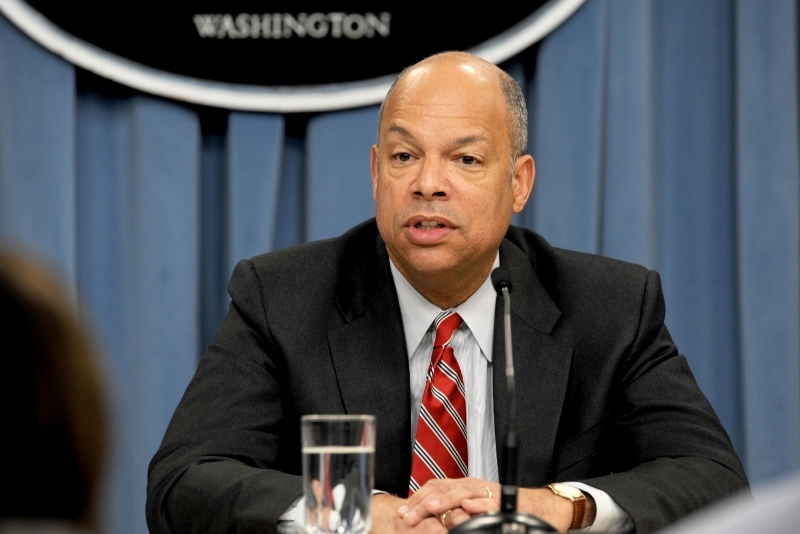 Over the last year, under Secretary Johnson’s leadership, the Department initiated three pilot programs to specifically incorporate appropriate social media review into its vetting of applicants for certain immigration benefits. The Department is actively considering additional ways to incorporate the use of social media review in its various vetting programs. The Department will continue to ensure that any use of social media in its vetting programs is consistent with current law and appropriately takes into account civil rights and civil liberties and privacy protections. One problem with this policy is the sheer number posts officials would have to trawl through; the US government approved more than 9.9 million visa applications during the 2014 budget year, which makes for a lot of social media content. In addition to the DHS proposals, Senators Dianne Feinstein, D-Calif., and Sen. Richard Burr, R-N.C., introduced a bill last week that would require social media companies to report any posts that suggested malicious intent to law enforcement authorities.